British Railways built 2MT 2-6-2T No 41227 propels the 4:30pm Leamington Spa (Milverton) to Rugby (Midland) service on the last day of service. The last service to leave Rugby for Leamington Spa (Milverton) was propelled by No 41227 leaving Milverton at 7:43pm and arriving at 8:21pm. 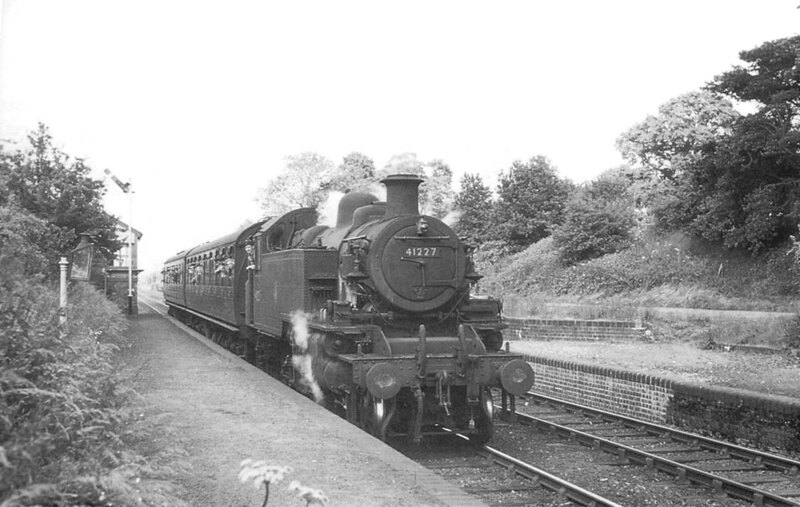 The last train from Rugby for Milverton was pulled by class mate Ivatt No 41285 leaving at 7:54pm arriving at Milverton at 8:31pm with the two trains crossing near to Dunchurch station. The locomotive then returned from Milverton to rugby light engine. Built by Crewe works in October 1948 No 41227 remained in service until September 1964 when it was withdrawn from 70A Nine Elms shed.